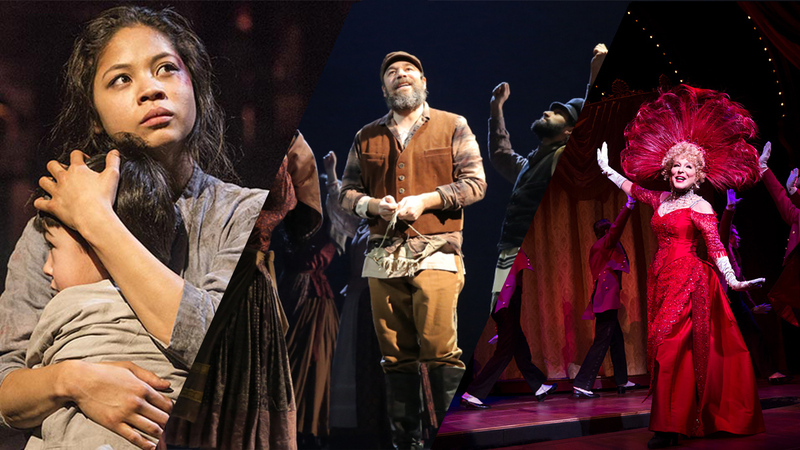 Eva Noblezada’s experience at the 2013 Jimmy Awards offers a good rebuttal. 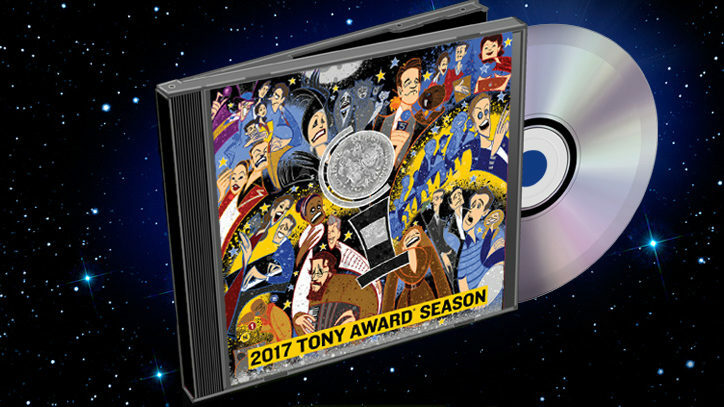 Last summer, the 17-year-old was a finalist for what are also known as The National High School Musical Theater Awards. Noblezada was hoping that she and a high school boy would each receive the $10,000 scholarship and award, named for James M. Nederlander, chairman of the Nederlander Organization who has been a producer of more than 100 Broadway attractions. At her regional competition in North Carolina, Noblezada first sang a song from Footloose, the show in which she’d played the lead at the Northwest School of the Arts in Charlotte. After the judges chose her as one of the finalists, she sang “With You” from Ghost. That was enough to have them select her as the winner of the regional competition. She received a Blumey Award — named for the Blumenthal Foundation that in 1992 built the Blumenthal Performing Arts Center in Charlotte, where touring Broadway shows play. Nevertheless, the notorious New York traffic didn’t keep the Noblezadas from arriving in time for Eva to join a whirlwind of weeklong activities. Then came Monday, July 1, 2013, when Eva and the other teens would appear at the Minskoff Theatre on the same Broadway stage that hosts The Lion King the rest of the week. Usually, three boys and three girls are chosen for the final round, but this night turned out to be so competitive that the seven judges felt compelled to choose four girls — including Eva Noblezada. She didn’t. Sara Lynn Marion from Fullerton, California, did. Says Angie, “When she didn’t win, we weren’t disappointed, for we accepted whatever God’s plan was for her.” It was a significant one. “A couple of weeks later, we got a call from Tara Rubin,” says Jon, citing the veteran casting agent of 42 Broadway productions — including Ghost. Now the Noblezadas had to make plans to visit their daughter in London for her May 21 opening. “She’s finishing high school through a special arrangement and the internet,” says Jon. 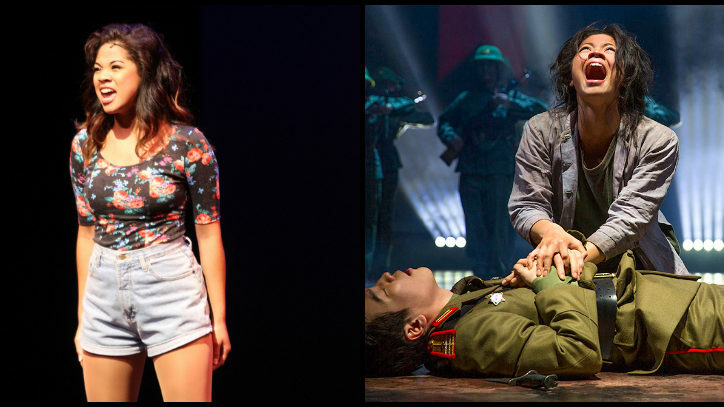 Eva may be writing reports for her English teacher and hoping for a good grade, but many English critics have given her good grades for her performance in Miss Saigon. Note to this year’s Jimmy Award contestants: Do not try to lose the competition on purpose. Miss Saigon photo by Matthew Murphy.